Madhya Pradesh:- Madhya Pradesh Metro Rail Corporation Limited (MPMRCL) is ready to start out for the Phase 1 Indore Metro Rail Project in two months. The Indore Metro system will be a rapid transit system and the metro will provide free Wi-Fi connectivity for the commuters. The Project will not only run on road bridges and in some underground location. The project will be the first driver less trains in India. The MPMRCL had asked to district administration as there is a need of spotting and relocate the utilities that include water and electricity lines on 31.55 km stretch. The letter was issued by the MPMRCL director, Jitendra Kumar Dubey and in his letter, he informed that company has appointed general consultant who is currently working on tender designing and in revert the district collector Nishant Warwade told Times Of India (TOI) that official of MPMRCL have sought our help in identification and shifting of utilities falling on the way of proposed first phase of Metro Rail Project Company’s official will give a Presentation in a meeting scheduled on Wednesday. 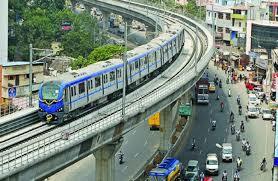 The letter also concludes that the plan will soon start by August -September of Metro line Phase 3. The project is set to be completed before 2020. As the metro run on the road, rail and underground so there is need of reallocation of other transport and there is a need for land too. Planning has been done on elevated viaducts column as there is will be the underground metro. Locations of a metro station have marked to fuse other modes of transports. So, the metro would not lead to any distortion to other transport. As the company asked for the relocation of utilities which also conclude other electricity lines and poles and sever and telephone line way and the proposed plan of laying tracks and the station. For the shifting of utilities, the project implementation agency has requested for the collection of a nodal officer who works on the daily basis. Previous articleAhmadabad Metro | Metro project still stuck with MEGA Co.
Neha Dawar is working with Metro Rail News as Media Intern and She is currently pursuing Bachelor in Journalism & Mass Communication (BJMC) from Fairfield Institute of Management & Technology affiliated to Guru Govind Singh Indraprastha University, New Delhi.